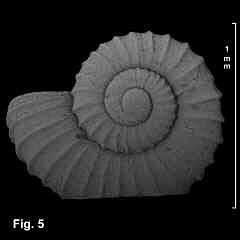 Description: Shell minute, tall for genus, height to width ratio in range 0.54 - 0.68. Protoconch smooth, elevated. 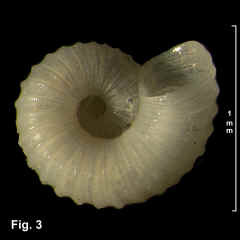 Teleoconch up to 2¼ rounded whorls, suture deep. Axial sculpture of low, moderately thick ribs, extending from suture into umbilicus, 20-30 on last whorl; interspaces between axials about three times rib width. Spiral sculpture of fine threads between axials. Umbilicus open, wide. Aperture circular, margin entire, either not thickened or with normal rib. 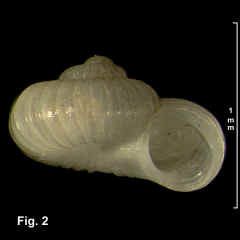 Shell colourless transparent when fresh, becoming opaque with age. Size: Up to 1.3 mm in width. Distribution: Endemic to Australia; Tweed Heads, NSW, southwards to SA, including Tasmania. 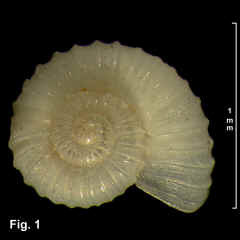 Habitat: Known from beach washup, and down to 137 m. Common. Comparison: This species has a higher spire than other members of the genus, the closest being L. petalifera. 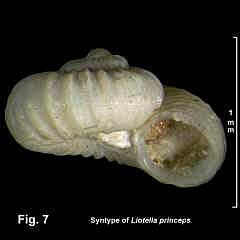 Although L. petalifera has about the same number of axial ribs, they are much stronger than in L. johnstoni. 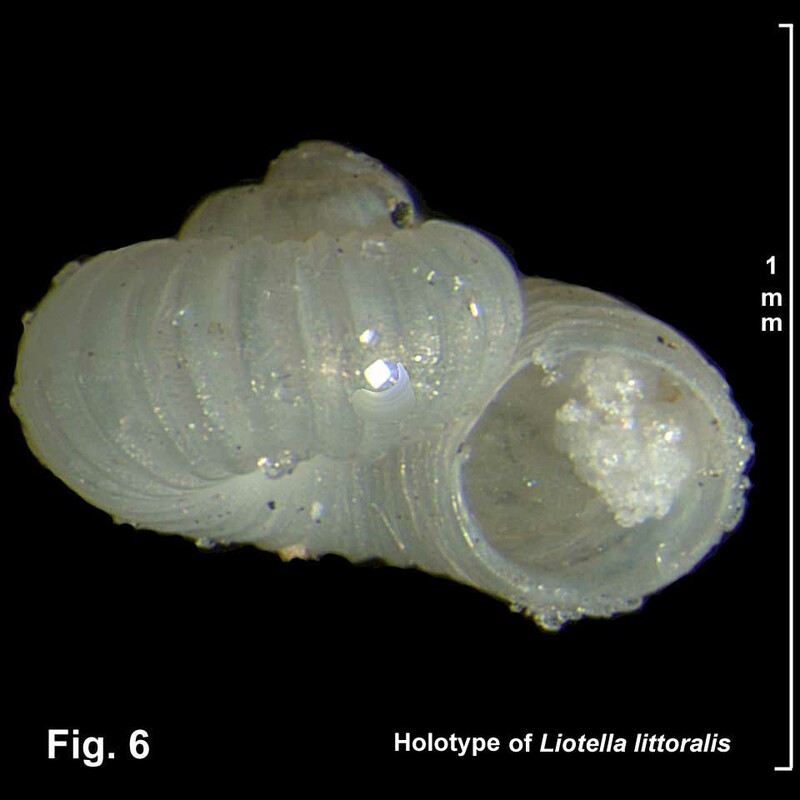 Synonymy: Both Liotella littoralis Laseron, 1954 (Fig. 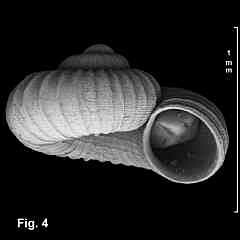 6) and Liotella princeps Laseron, 1954 (Fig. 7) are synonyms of this species (NEW SYNONYMS). When describing L. princeps, Laseron noted that "this is probably the species recorded … as Cyclostrema johnstoni Beddome" but assigned a new name, as he considered the descriptions and figures of C. johnstoni that were available to him to be in conflict. With the range of material now available, the variation in rib count and spire height in the species is apparent, and Laseron's two species are seen to fall within this variation.